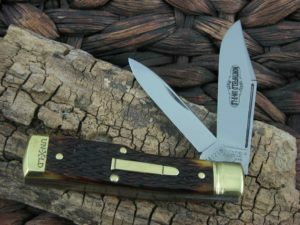 his is the Great Eastern Cutlery Northfield Oregon Trapper Hunter, has Sambar Stag handles and Brass liners. 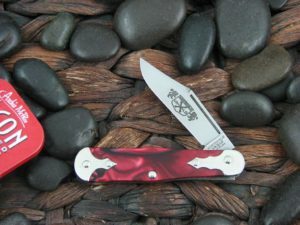 The blade steel is 1095 and finish is Polished. 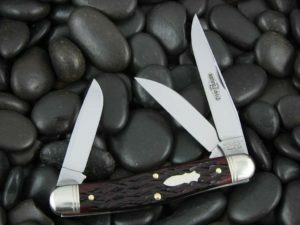 This is the Great Eastern Cutlery Northfield Oregon Trapper Hunter, has Sambar Stag handles and Brass liners. The blade steel is 1095 and finish is Polished. 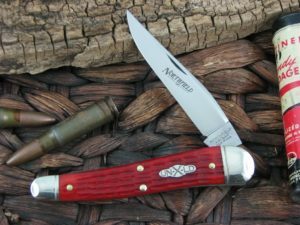 Beautiful knife and really nice stag. And the usual great service.